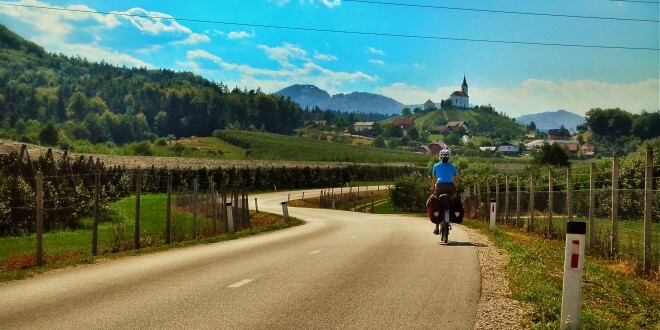 Home » Bike Travel » So, you want to Bike Tour Slovenia? Use Caution- this route passes through Slovenia. First, let me tell you that we absolutely loved Biking through Slovenia. We had heard only good things about Slovenia. Travelling Two had nothing but high praise for this little known Central European Nation. 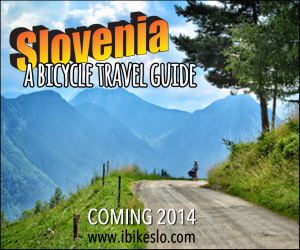 Then there was the spate of Bike Touring information coming from the Slovenian Tourist Ministry. They had produced a nice map of Slovenian Cycling Routes with adjacent camping areas and they’re trying very hard to attract cycle tourism. 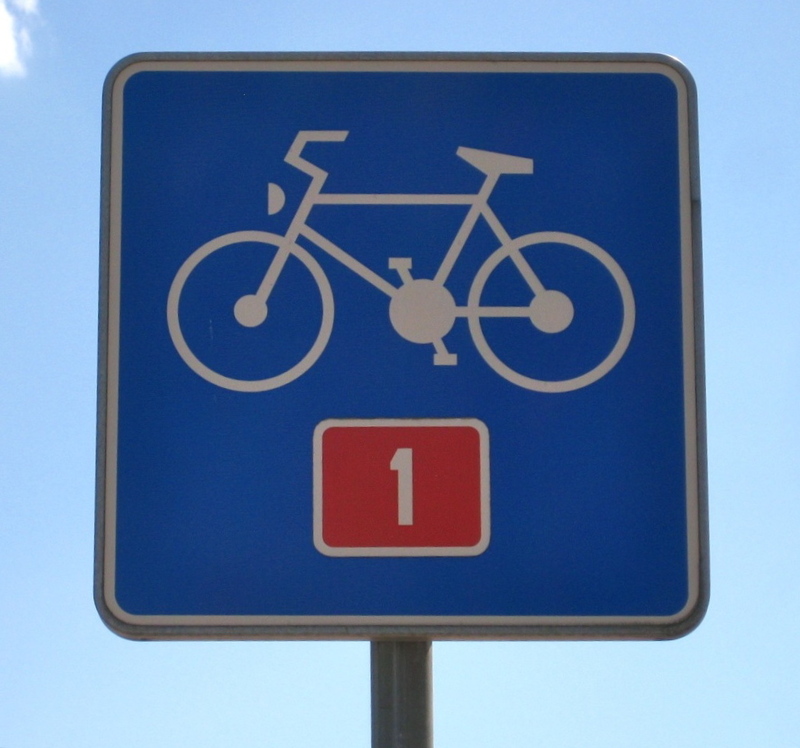 C noticed this last winter and had insisted no matter where we go this summer we had to cycle through Slovenia. So, as we cycled south from Graz toward the Slovenian border I was surprised to realize that I had developed an anti-Slovenia prejudice. I don’t mean a racial or religious dislike, but rather a Google bias. I had forgotten all about it until about 20 minutes before we left Graz to cycle the 90km to Maribor, Slovenia. Suddenly it was ALL I could think about. What had Google meant to tell me? Bandits? Plague? Bad food or worse? There was no other explanation other than we were meant to ‘Use caution‘. I tried to express my concerns to C, but she just laughed it off. After all, she explained, “Slovenia was the first, and to date the only, of the former Yugoslavian Republics to be admitted to the EU.” “It’s fine”, she said. Bring a map or two or three, then ask the locals. As we continued south I slowly accepted that C knew best. Of course. What was I thinking? Slovenia is fine. Those fools at Google. Right? OK, that was weird. Eventually we realized the problem. The Slovenian D1 Bike Route that had been decently marked for the first 10 or so odd kilometers began to unfold into a maze of unmarked, unmapped farm roads leading in every direction, mostly uphill. The Slovenian Bike Route Map did not show any of these roads. 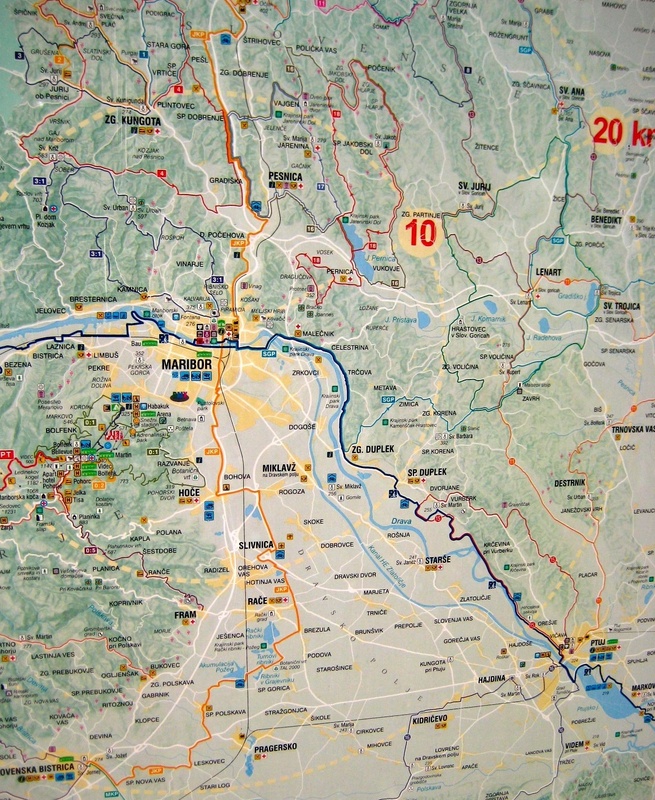 We had another Slovenia Road Map, which we had been comparing to the Bike Route Map. It showed one or two of the roads, but seemingly they we’re not really where the Road Map indicated. I had cached this section of Open Cycle Map on my iPad, so I pulled it from my bag to compare with the other two maps. Still not showing exactly what we were seeing on the ground, but at least we could tell that we were meant to follow the farm roads paralleling the freeway. South we went. A few kilometers later there was a D1 sign pointing toward the left, so left we went. Down another small farm lane, under a rail tunnel, around a field and toward a farm house. Not unusual. We had seen this before in Austria. Small, local agricultural roads used as bike routes. Shortly, a dead end road and big dog convinced us that this was NOT the correct route. Back to the last turn off. Soon we felt we had found the right road. Unfortunately it was signed with a 20% grade sign! Up, up, up we went to a hilltop vineyard and farmhouse. As we cycled past the farmers walking toward the house I decided to stop and ask if we were going the right way. Since I don’t speak Slovenian, I tried my basic level of Polish. They gave us some basic directions which sent us back down the steep grade that we had just climbed and around the roundabout and to another small tunnel, where we asked an elderly gentleman on a bike. “Na Maribor…?”, pointing toward the tunnel. About an hour later we arrived in the center of Maribor. Covering 90k for the day and feeling a little confused and concerned about what we had gotten into, we stopped into the Tourist Information Center to ask if the campground we had picked on our map was really there. The lady in the Tourist Office was really nice. Pointing out some route advice for the next day and telling us about camping options. There were in fact 2 camping areas nearby. One catered specifically to cyclists. Nice! We had some time so we strolled through the center and ate some ice cream sitting on the main square in the hot afternoon sun. Soon, we were off to the camping area. A quick stop at a supermarket for an evening meal’s worth of food and we were pedaling to our home for the night. 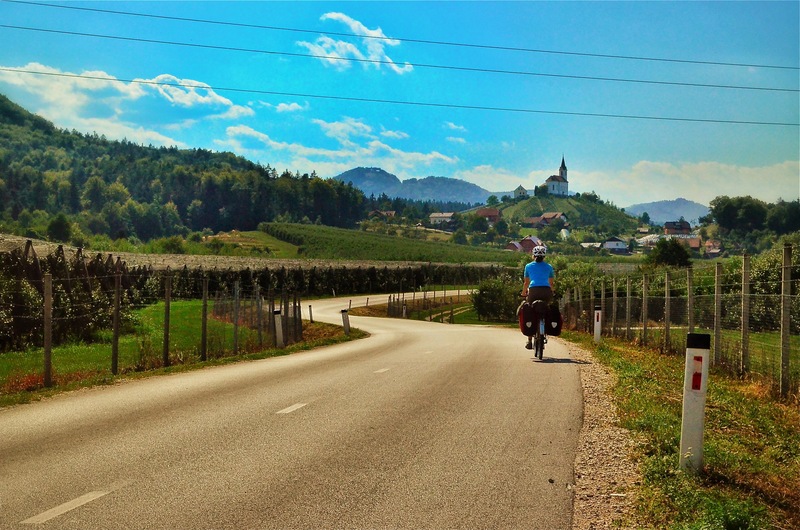 Bike Touring Slovenia is like going back in time, in a good way. You would be forgiven if you stopped reading long ago and came away with the idea that we did not enjoy Slovenia. Nothing could be further from the truth. The roads were quiet. The people were friendly and the food was excellent. Fortunately for us, the first section was the worst of our route finding adventure in Slovenia. We actually rather enjoyed the countryside and the wonderful, lovely people (except the strange guy who woke us at 3AM asking for a light for his cigarette). There were a few more instances of misplaced/mis-marked roads and distances, but generally Slovenia proved to be a delightful place to travel by bike. 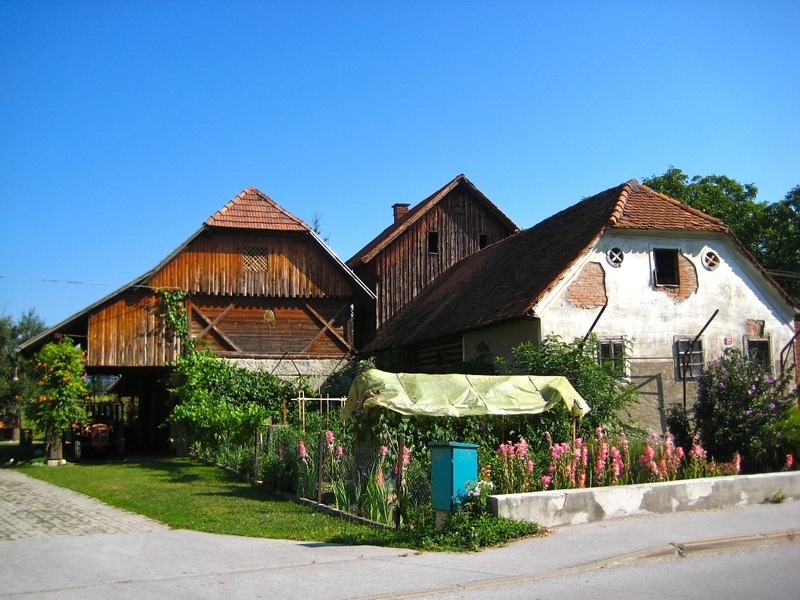 Sud-Steierich style farmhouse in Prebold, Slovenia. Our home for a night. Particularly we enjoyed Cycling through the Slovenian Wine Country. This beautiful section of land along the Drava, Savinja and Sava Rivers and through the center of Slovenia is as spectacular as any place we have travelled by bike. Some of the small villages and scenery between Maribor and Ljubljana reminded us of the old Europe that is romanticized in films. A place where time seems to have stood still, in a good way. Camping is plentiful. There were even more camping spots than our maps indicated. We camped on our second night in Prebold, a small Hop and Wine farming town about 25k (although the maps showed it to be 10k) east of Celje, at Camp Dolina, operated by a local family who rents out the area around their home for camping during the Summer months. In fact there was an operational grape press standing next to the barn that had a date of 1850 carved into the massive wooden beams that supported it. Our host told me it was built by his Great Grandfather and it had been in use every year since. Unlike Austria the main and best cycling routes tend to be over rather than around the mountains. This was evidenced by the beginning of our second morning as we ascended a 10k climb that I nicknamed “a World of Hurt.” It seemed to never end, switchback after switchback, from Prebold up and over a mountain known locally as Marija Reka and down to Trbovlje. As we began to climb the lower reaches of the mountain we encountered cyclist after cyclist coming down. Roadies mostly in small groups out for their Saturday morning ride. One way to tell you’re about to hit a really big climb: the presence of copious numbers of Roadies. This one did not disappoint. We climbed for about 90 minutes or more before descending the backside into the Sava valley which we would follow for 60 or so kilometers into Ljubljana. Fortunately we had anticipated this and started out early in the morning to avoid the heat. Most of the route passed Goat farms and some interesting looking forest roads, but that will have to wait for later…. 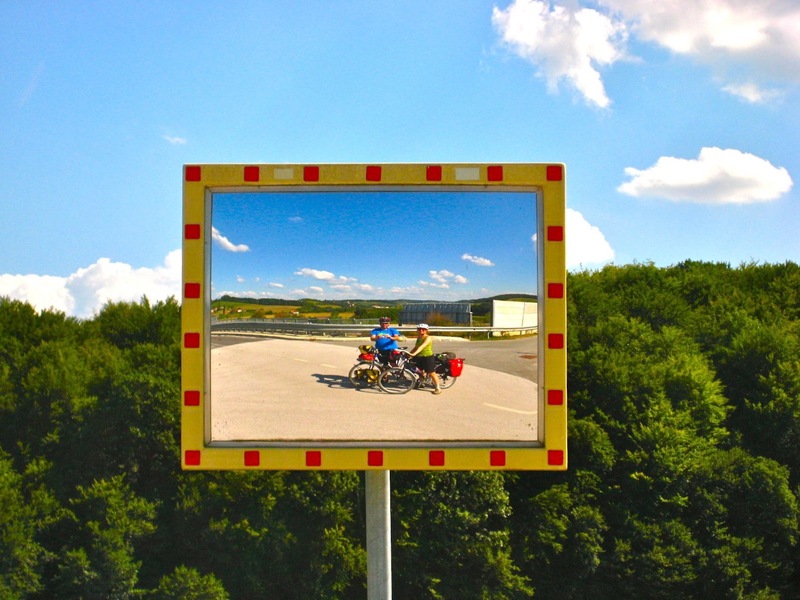 One thing we both agreed upon, we barely scratched the surface of Slovenia as a Bike Touring destination. We will most certainly be back. A nice article about a nice destination. Slovenia is definitely a hilly country and cyclists should be prepared for some ups and downs – the scenery is very rewarding though. I guess a few more cycling friendly roads wouldn’t hurt but I suppose all the other stuff you get out of such a trip is a good compensation for that. You should definitely visit another part of the country next time. There are quite a few just as nice (or even nicer) parts to the west. Wine regions usually prove to be a good choice for a cycling destination. You can check out my blog for some tips (not really cycling ones, but useful nevertheless) and drop me a line if you ever need some local advice. Keep up the good work and I wish you many more happy travels. Hi Marko, thanks for the info. Yes, we will most certainly be back. Slovenia was, for us, a great place that we unfortunately spent far too little time exploring. Marco, we are planning on biking from Bled to Venice after a rowing ragetta. We are active but concerned about the elavation, directions and route. what are your thoughts about this adventure. Nice blog you two have!! We hope to extend our trips into a longer one like yours someday soon. 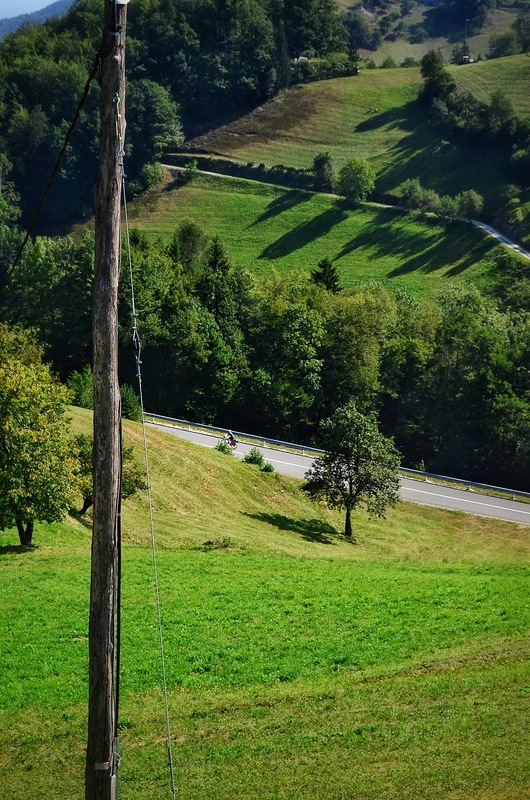 Next time you’re in Poland– drop us a line! We would be quite co-ordinating on the road– (my ortliebs are red & T’s are yellow!!) Slovenia and Croatia were just the tip of the iceberg down there– we want to go back and further explore the Balkan region– good food, nice people, even if the roads are a bit challenging at times. Hello, Great information on Slovenia and Albania. I’m currently making my way up the Ioanian islands and will be passing through Albania via the coast in just a few days. Any thoughts on riding that route? I’ll ride through Slovenia mid-May and am hoping to lay eyes on that new book of yours. Do you have an expected date of release? Thanks! Thanks for the kind words. The Albania coast is pretty straight forward. Keep the sea on your left. 🙂 The section immediately north of Sarande is super scenic, but tough climbing. Its worth it. The Slovenia book is moving slower than we anticipated, but we’re still aiming to have it ready before summer is in full swing. We’ll keep everyone posted on our progress!! If you need any advice about route finding or otherwise,be sure to let us know. Enjoy sLOVEnia! If you are ever here again, drop me a note and I could tell you for some other nice bike destinations as well, as I also like biking my self. I am cycling around/through Slovenia this summer, I already know I love the country as have been there twice before, but not on my bike! Do you have any tips on finding routes through the country, long distance. And also how did you find campsites along the way? I am, for some reason, only finding them few and far between. Are there usually ones you passed which aren’t advertised more widely? 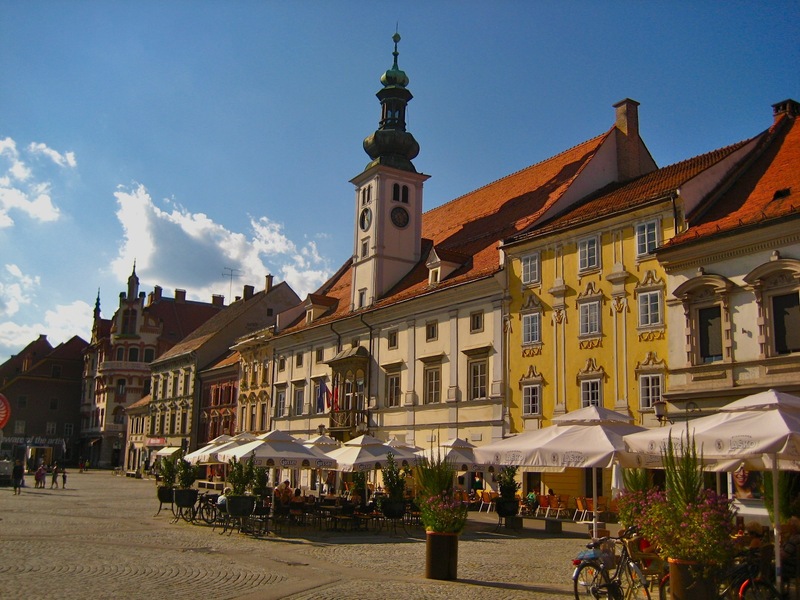 I’ve come across your blog after searching for cycle routes in Slovenia, as I’m trying to plan a cycle tour around Slovenia this coming August. I was in Slovenia in 2013, and loved it so much that I promised myself to return, this time on my bike (and taking my dad with me!). I had in mind to fly into Ljubljana -> Bled and Triglav -> Kranjska Gora -> Kobarid -> (train back to Ljubljana?!)! Any advice on routes? Would be hugely appreciative of any thoughts at all, as I’m finding it harder than expected to plan the route! Debbie: I want to bicycle Slovenia. Any help you can give me will be appreciated. I have experience in biking. Many thanks.